"What is it that we're livin' for? Chrissy will be making her Off-Broadway debut joining the cast of Puffs: Or Seven Increasingly Eventful Years at a Certain School of Magic and Magic March 8th as Sally/Others! Joined the cast of A Gentleman's Guide to Love and Murder at Florida Studio Theatre playing Miss Barley and going on for Phoebe D'ysquith. Performed at the historic Iridium Jazz Club with fellow members of Ellen's Stardust Diner in the Starduster Showcase. ​Returned to Trevor Bachman's FARMED once more, this time at Joe's Pub. Continued work on FARMED​ performing at the Kickstarter Headquarters in Brooklyn. Live performance of FARMED: A Podcast Album by Trevor Bachman, based on the book "Animal Farm," together with fellow NYU alumni. Participated in a new devised work called Resurexit with Memsis Theater Project at Dixon Place which combined the elements of Oscar Wilde text, boxing, and Gregorian chant. 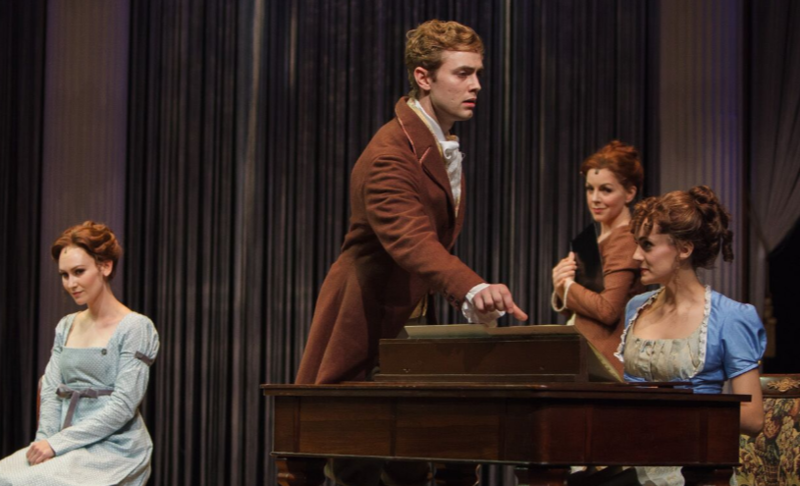 Finger Lakes Musical Theater Festival's Austen's Pride: A New Musical of Pride and Prejudice as Caroline Bingly and Mrs. Gardener. Worked on a recording of an exciting new Untitled Project based on a popular movie with music by Alexander Gemignani and lyrics by Brad Bauner. Took part in a reading at the York Theater, a new musical called Gayland, playing the part of Zoe. Click here to see more. Played Mei Mei in a reading of the new musical In Real Life: A SLENDERMAN Musical, music by Trevor Bachman and Jonathan Sokolow, book by Joshua Brown. The staged reading was directed by Ashley Brooke Monroe and performed at Theater For a New Audience. Click here for the Broadwayworld article! 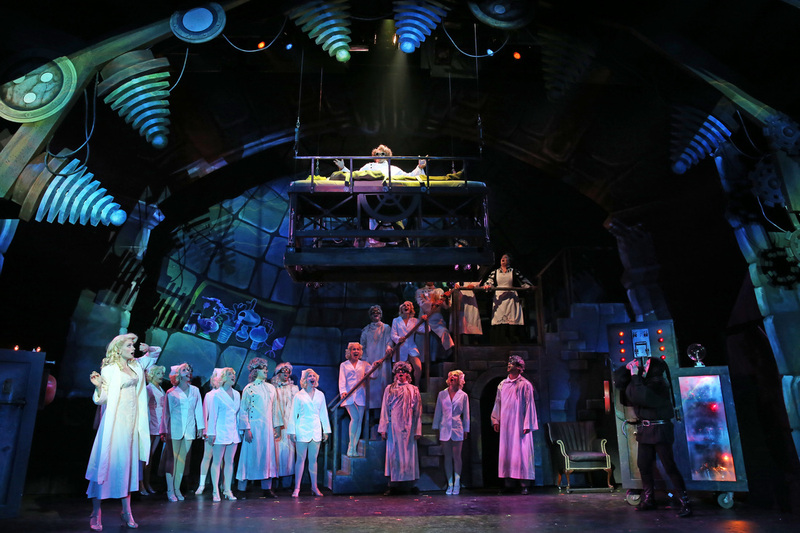 Maine State Music Theatre's Sister Act, The Music Man, andYoung Frankenstein, playing over 80 performances in total. Appeared in a gala concert performance of Hello Again at the York Theater, directed by Irish Repertory Theatre's Jason Brubaker. The Wizard of Oz at Surflight Theater! Here is a link to the broadwayworld review of opening night! 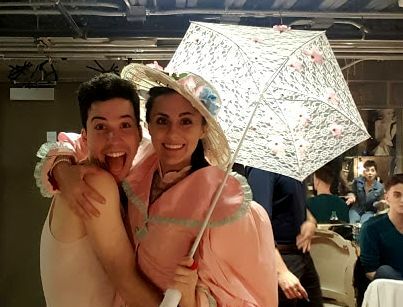 Got the chance to play a dream role, Eliza Doolittle in My Fair Lady at Arundel Barn Playhouse in Maine. Also took on the role of Margot in Legally Blonde! broadwayworld.com Published an article on this.